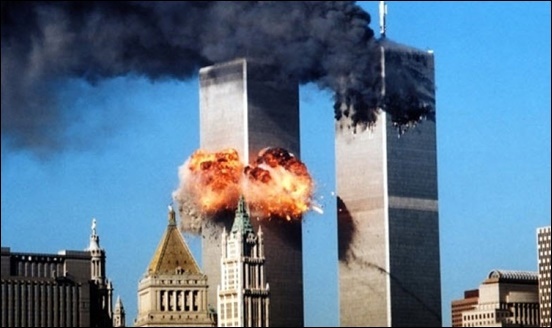 Today is the 15th anniversary of the 9/11 attacks on America. It was an apocalyptic day in American history. For Richard J. Wershe, Jr., every day is apocalyptic. It’s another day of his life that has slipped away due to political retribution. For Rick Wershe, the 15th anniversary of the terrorist attack on this country is just another day behind bars as a political prisoner, the victim of a vendetta by a corrupt political and prosecutorial machine. It can be argued that no other Michigan prison inmate has received as much local and even national media attention and outside-of-Michigan puzzlement over why this guy is still behind bars for a non-violent drug conviction in a case prosecuted when he was a teenager. Yet, “the system” won’t budge on granting Wershe parole. It’s not about his crime. Informant America has shown over and over and over in past months that the punishment in the Wershe case doesn’t fit the crime. His case is deeper than that. He embarrassed powerful people. He exposed corruption in Detroit black power politics. He cost powerful people a lot of money. That is why Rick Wershe remains in prison. What the puzzled—shall we call them the puzzlerati?—don’t understand is the power dynamic of politics in Detroit and Michigan. Even lifelong residents of Michigan may not understand how power really works in the Great Lakes State. Power politics in Michigan is about black and white—as in race. But it’s not as simple as black and white. Black political power resides in Detroit—and stops at Eight Mile Road. White political power in Michigan is mostly rural and “outstate.” It, too, stops at Eight Mile Road. The two racially divided political factions are, by default, at odds with one another, but sometimes they accommodate one another. Such is the case with Rick Wershe. The Michigan white political faction loves to appear tough on crime. It’s a crowd-pleaser at election time. Most of “outstate” Michigan regards Detroit as a cesspool of crime and depravity. So if the black political faction wants some guy to rot in prison, the white political faction is only too happy to oblige and look the other way regarding facts and truth. Sacrificing one white guy to appease Detroit’s black politicians who are hell-bent on revenge is an easy political choice for politicians and judges outside of Wayne County. It's an easy favor to "them." Coleman A. Young - It started with him. The split power equation in Michigan politics goes back to the mayoral regime of Coleman A. Young, Detroit’s first black mayor. He gets the credit or the blame, depending on how you look at it. When Young won the mayoral contest in 1973, it was the passing of political power in Detroit from whites to blacks and Young knew it. He also understood how power politics works. He had studied and admired the enormous power wielded by Chicago’s mayor, Richard Daley. Daley was white but that didn’t matter to Young. Daley had enormous power and that did matter to Young. 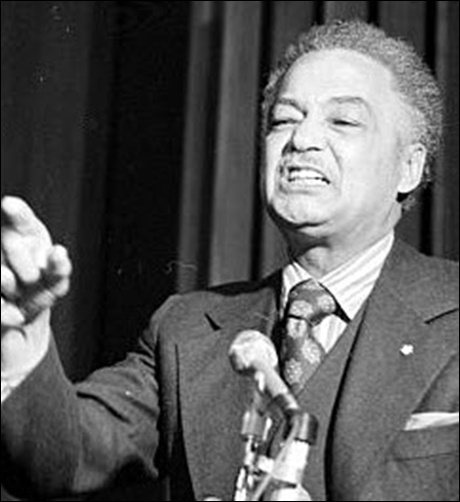 Coleman Young understood that power is, well, power. He also understood the value of political loyalty as part of the power equation. Thus, Young allowed public corruption to fester all around him. He let his key loyalists loot the city treasury, rob the citizens, as long as they remained loyal to him in all things political. There are plenty of whites who fed at the Coleman Young corruption trough, too. As I said above, it’s not as simple as black and white. The black political machine of Detroit wants Wershe to rot in prison until he dies for helping the detested and despised FBI expose and prosecute drug corruption in the Detroit Police Department—Coleman Young’s police department. Wershe was 14 when the FBI recruited him because he lived in the city and knew the wrong people. For roughly two years young Rick Wershe was a secret FBI informant who told on the Curry Brothers, a major east side drug gang with family ties to Mayor Young. The mayor eventually discovered Wershe’s secret role. Young hated FBI "stool pigeons" and Rick Wershe was no exception. People around Young knew how he felt about Rick Wershe. Wershe also told the FBI about Detroit Police Homicide Inspector Gil Hill, who Johnnie Curry bribed to make the investigation of the murder of a 13-year old boy go away. Curry’s gang had inadvertently killed the boy in a money dispute with the child’s uncle. The FBI stayed on Hill’s trail for years but never accumulated enough evidence for a slam-dunk conviction. That’s what’s needed if you are going to successfully prosecute a onetime movie star and community hero like Gil Hill, who went on to win election to the Detroit City Council and eventually became its president. Gil Hill, who died earlier this year without facing prosecution, knew Rick Wershe was the source of his behind-the-scenes torment by the FBI and he never forgot it. When Wershe came up for a parole hearing in 2003, Hill pulled out all the stops, called in a bunch of IOUs, and rigged the hearing to bury Wershe alive. One of the smears against Wershe was a letter to the parole board written by then-prosecutor Michael Duggan. The letter is full of falsehoods and blatant distortions of the court record in Wershe’s case. The letter said Wershe is a menace to society. The previous post on Informant America was the complete text of my sworn affidavit to the U.S. Sixth Circuit Court of Appeals, which I submitted recently as part of a long civil rights court struggle Wershe and his lawyer Ralph Musilli are waging over the issue of parole and whether Wershe has ever had a fair and meaningful chance at one. (See Vince Wade’s sworn affidavitregarding Richard J. Wershe, Jr., aka White Boy Rick.) The affidavit challenges—with provable facts—the crock of crap in the Duggan letter to the parole board about Wershe. I took it upon myself to bring this to the appeals court’s attention because someone needs to expose the lies and slander in the Mike Duggan letter, which has been used repeatedly by the Michigan Attorney General as an “exhibit” in court in arguing that Wershe should remain behind bars. That letter has far more influence than the other “evidence” against the inmate known in the media as White Boy Rick. The letter was written by a politician who is now the mayor of the City of Detroit. In the court system, that carries weight. A parole board member from western Michigan may not know who Richard J. Wershe, Jr. is, or even know the name White Boy Rick. But that member knows who Mike Duggan is. A federal judge in Grand Rapids may not know who Richard J. Wershe, Jr. is, or even know the name White Boy Rick. But that judge knows who Mike Duggan is. Mayor Duggan has been able to dodge and duck the Wershe controversy for far too long. He played a major role in keeping Wershe in prison to this day. Duggan needs to be held accountable—today. Readers of Detroit’s two main newspapers—the Free Press and Detroit News—might conclude Informant America is off the deep end in crusading for the parole of Rick Wershe, and that the blog is wrong in claiming widespread systemic corruption is at work in keeping him behind bars. As far as readers of those papers know, the criminal justice “system” in Michigan is just fine. That’s not the view beyond the rose-colored windows of the Free Press and News. The editorial begins with a question: “Why are Michigan’s prosecutors ignoring the Supreme Court?” The editorial explores the dig-in-their-heels resistance of Michigan prosecutors, Kym Worthy of Wayne County and Jessica Cooper of Oakland County in particular, in refusing to follow U.S. Supreme Court dictates that juveniles convicted of murder and sentenced to life in prison without parole be re-sentenced and given the chance for parole. The Times’ editorial board apparently doesn’t understand Michigan’s prosecutors are largely a bunch of vote-grubbing lawyers who see “tough-on-crime” as an easy way to win re-election and keep feeding at the public trough for their pay. Most voters have no clue whether their county prosecutor is doing a good job—a fair job—and it shows in the continued re-election of these “tough on crime” champions of justice, or more accurately, champions of punishment. As the Times editorial notes, "...young people are biologically and psychologically different from adults. They are more impulsive and more prone to change as their brains continue to develop. “When it comes to driving, voting and buying alcohol, society recognizes these realities; so should the criminal justice system." Rick Wershe was 17 when he was arrested, 18 when he was sent to prison for life. At age 47 Richard J. Wershe, Jr. is not Ricky Wershe, he's not White Boy Rick, the cocky young kid who went down the wrong road. Kym Worthy knows this. Bill Schuette knows this. Mike Duggan knows this. The appellate court judges know this. But the continued imprisonment of the man the media likes to slander as White Boy Rick isn’t about rehabilitation and correction. It’s about corrupt politicians and a corrupt state criminal justice system continuing a vendetta in behalf of a couple of dead black politicians who wanted revenge—and got it.